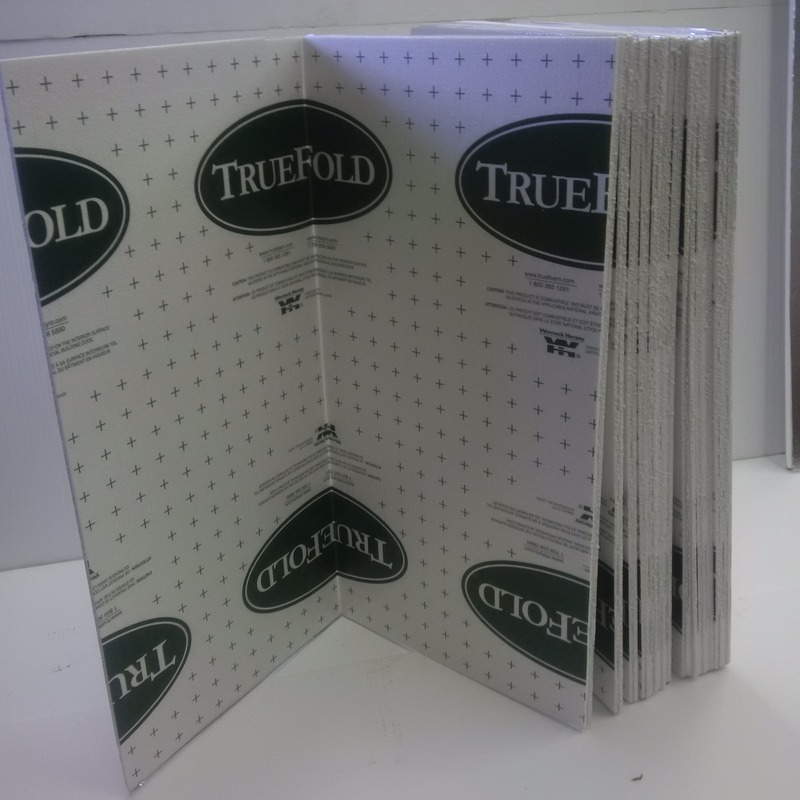 InsulWall is a patented Canadian building technology developed by Truefoam. It combines insulation and framing in a unique system that combines conventional wood framing with highly efficient rigid insulation and also eliminates the need for exterior sheathing. It offers outstanding energy conserving properties, and saves trees by using structural wood very efficiently. The core of the system is Truefoam expanded polystyrene (EPS), an exceptionally versatile insulating material. Used in construction since 1951, EPS is well known for its durability, thermal stability, and safety. Since EPS is breathable, it allows water vapour to pass through, eliminating condensation and the related threats of rot, mould and mildew. 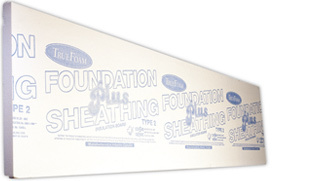 However, because Truefoam EPS is composed of a solid structure of closed cells, it does not permit the kind of air movement that causes convection heat losses so typical of homes built using fibrous insulations. 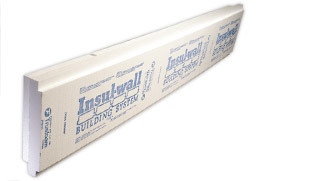 InsulWall takes maximum advantage of the structural integrity and insulating ability of EPS. Standard wood framing members, contained in slots within the EPS panels, are separated from the exterior surface of the wall. This prevents thermal bridging, where heat escapes through framing - often a major cause of heat loss in traditional construction. Exterior finish siding is attached to 1" x 3" strapping incorporated in the outer face of the InsulWall panel. InsulWall isn't just about walls, either. The system includes high R-value ceiling components as well. InsulWall meets and surpasses all national building code requirements, and is used as an approved and accepted method under the R-2000 program. InsulWall can be cut to fit custom sections made to suit your house plans, reducing on-site labour to a minimum. If you prefer, it can also be provided in the form of easy-to-assemble components. 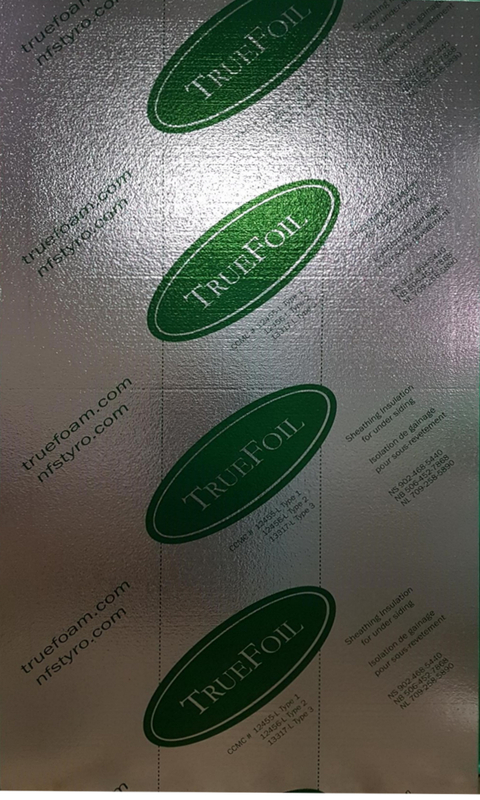 InsulWall is part of an integrated system of Truefoam insulation products designed for cost effectiveness, durability and versatility. 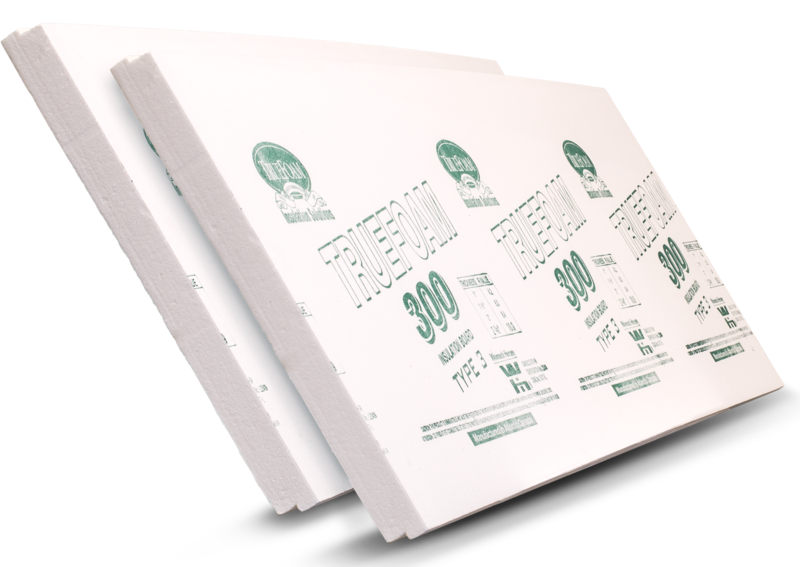 Truefoam insulation products can substantially reduce heating costs while protecting the integrity and long-term comfort of your home. As the insulation method for today's modern homes, InsulWall provides you with comfort and significant savings in many ways. As opposed to fibrous insulations, InsulWall is a solid, rigid insulation which prevents air movement within the wall cavity. This feature plus the elimination of sagging provides a wall with constant high R-value and vastly superior performance. In conventional framing systems the studs, plates and shoes form a thermal bridge between the inside warmth and outside cold. This results in significant heat loss which is eliminated by the InsulWall system. InsulWall allows your wall to breathe, removing the threat of decay and mildew. InsulWall does not release dust or itchy fibres. InsulWall is the wall system for the 21st century.